Andy Beal (at right) with fellow billionaire Tim Headington (left) and Beal’s son Ryan. 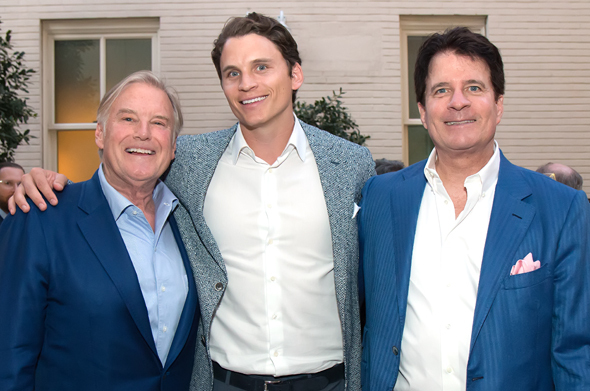 Beal, who’s said to be the richest man in Dallas, recently snapped up the Tom Hicks estate as well as the historic Trammell Crow residence here. So, there should be plenty of opulent room to spread out the old briefing papers and charts, should The Donald ever get back to Dallas and want to plot policy with his longtime pal.